The PSO will be phased out gradually between 2017-2022, providing long-term stability for the projects' developer Vattenfall. "The agreement creates certainty about the financing of Denmark's green transition [and] strengthens the competitiveness of Danish industry, giving the Danes a cheaper electricity bill and paves the way for using more green power in Danish society," the Danish energy ministry said. After the deal was announced, the Swedish utility said it would go ahead with the 350MW of coastal projects it won the development rights for in September. The nearshore projects were placed under threat during the PSO negotiations. "It is no secret that the government wants to abandon the construction of the coastal wind turbines," said energy minister Lars Lilleholt in September as the talks continued. The PSO is a levy added to consumers electricity bills, to support renewable energies. Beyond 2022, finance for renewable energy projects will be included in the Danish government's budget, and not form part of household costs. "I am very pleased that the government and a broad parliamentary majority has an agreement on the very difficult PSO case. The solution is a good compromise with broad political support. It unites the parties in wanting to continue the green transition and abolish the PSO charge in a way that is affordable for both households and businesses," Lillholt said today, following the PSO agreement. Vattenfall was the successful developer in the nearshore tender, with a record low offshore wind bid of DKK 475/MWh (€63.8/MWh), including transmission costs. The price, Vattenfall argued, was 30% below the budget the government set in a 2012 agreement, meaning the projects should go ahead as the impact on bills would be less than expected. The Swedish firm will install two nearshore sites; the 170MW Vesterhav Nord and the 180MW Vesterhav Sud. Both are situated in the North Sea, up to ten kilometres off Denmark's west coast. The company will now be able to begin procurement of components. Construction is expected in 2019 and first power due in 2020. As a result of the agreement, the 600MW Kriegers Flak project, awarded to Vattenfall in early November, is also set to go ahead. Vattenfall placed another record low bid of DKK 372/MWh (€49.9/MWh), excluding transmission, to build the project. Kriegers Flak will also form part of a 400MW interconnection with Germany. 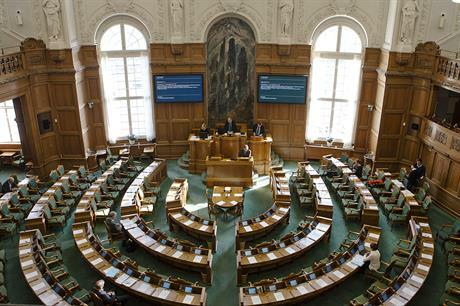 "This sends a strong signal and ends a long period of uncertainty in Danish energy politics. The agreement will secure thousands of jobs, allow the continued green transition, and at the same time, I'm very pleased that Denmark once again sets an example by building the world's cheapest offshore wind farms," said Danish Wind Industry Association CEO Jan Hylleberg.